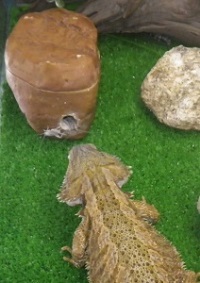 Feeder insects such as crickets are a favorite food for bearded dragons, who readily demolish a handful in seconds. 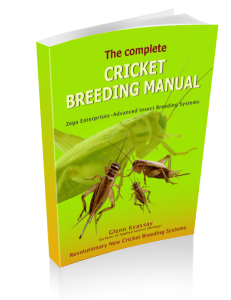 We know that crickets are good for our pets, but they are so expensive … and in the past they were difficult to breed?. Well not any more … new low maintenance breeding methods means you can feed 4-12 bearded dragons (depending of feeding regime-see below) with the same amount of time and effort as standing in line at your pet store. The average bearded dragon will eat around $1000 a year … and they live for decades. So breeding your own feeder insects will save you tens of thousands of dollars over the life of your bearded dragon. 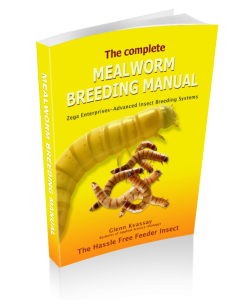 Below we will show you how to breed cricket with low maintenance methods, and how to provide a nutritionally balanced diet for your bearded dragon. Many people have tried to breed their own crickets but most give up due to the high maintenance and smells conventional methods created. Fortunately there are new productive methods that have made the most difficult feeder insect to breed, to one of the easiest. You may be surprised to learn that the average 2 child family can make $1400 worth of crickets just using their scrap vegetables, and with much less time than previously possible.